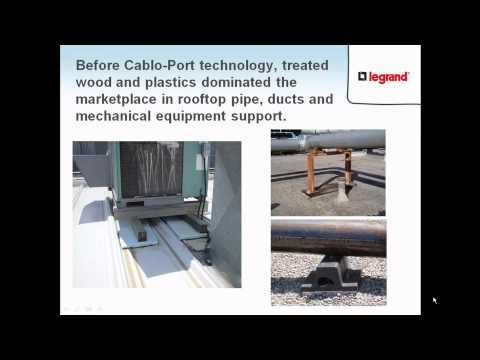 Flat roof support: For support of tray, piping or other items on flat roofs. Two support styles: FAS Profile for wire mesh trays or 13/16” galvanized channel (14 ga.) for ladder tray, piping or other material support. Supports are available in: one standard finish and two optional finishes. Curb style maximum load: 750 lbs. (CPP5 and CPS5 - maximum load 200 lbs. ).